The mission of Trash for Peace is to provide hands-on, creative experiences that encourage resilient communities. Our programming has helped increase recycling rates and diverted pounds of trash from landfills. We are currently located on 7 affordable housing sites in partnership with Home Forward. The after school Sustainability Education Program is the foundation of our work, with the aim of empowering youth and communities through hands-on activities. We work with over 100 kids each week, which requires a lot of preparation! 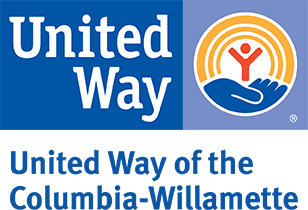 By volunteering, you are not only helping to make this program possible, but are contributing to providing valuable services to some of Portland's most vulnerable citizens. Looking for an opportunity to get crafty AND contribute to a good cause? Come volunteer with Trash for Peace at our weekly Friday craft-prep sessions! We partner with affordable housing communities in East county to provide weekly hands-on activities to youth and families that relate to sustainability. These activities are centered around 6 themes: recycling, reuse, energy and water, natural world, health and nutrition, and culture. Many of our activities require lots of preparation--from making examples to cutting out templates to testing out different projects. We are looking for crafty folks to help us get these activities ready for our programming. Activities that you could help prepare include: plastic bottle planters, cardboard wreaths, bottle cap stamps, dream catchers out of plastic lids, and so much more. No skills required! Trash For Peace from The People's Lens on Vimeo.